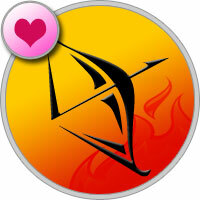 Sagittarius love horoscope advises not to test the patience of others. You may be a little tired, so you fall on your loved ones, try to get back to normal. Free Sagittarius with their whims can scare off a potential partner. A day of positive and joy, innocent flirting is quite permissible. Couples in a relationship may think about the wedding and replenishment in the family. Under the influence of the number 1, a couple will be able to overcome difficulties in a relationship. However, you should not get involved in the process of re-education of your half — this is too dangerous and ungrateful role.